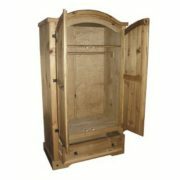 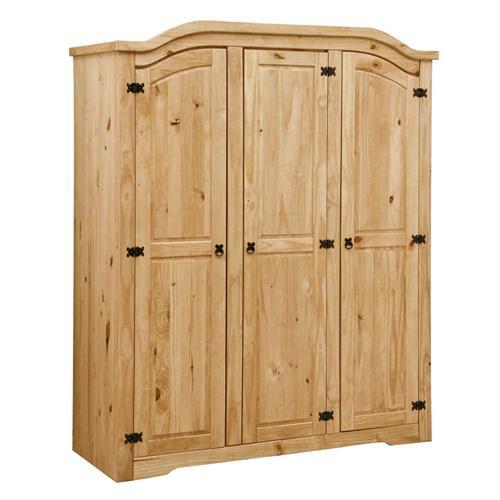 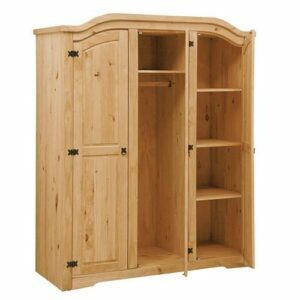 Extra storage and traditional design combine to create the impressive Corona Pine Arched Wardrobe. 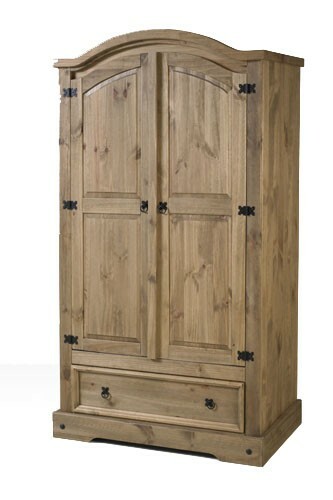 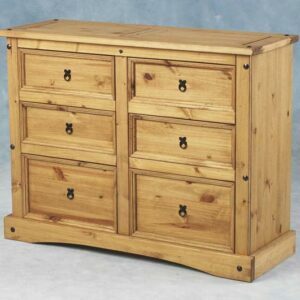 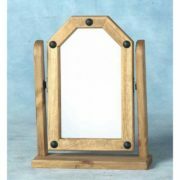 The Corona range is built to a high standard using solid pine and comes with a waxed finish that lifts the grain of the wood creating that distressed rustic look. The wardrobe features a wooden hanging rail and with a hanging space of 126cm, With a handy drawer at the bottom of the wardrobe, You will easily be able to store all of your clothes. 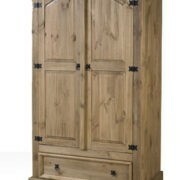 The back of the wardrobe is constructed from an unfinished plywood. 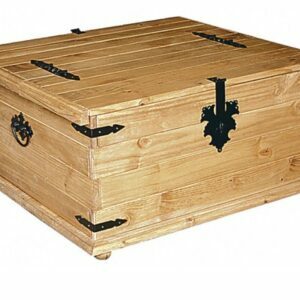 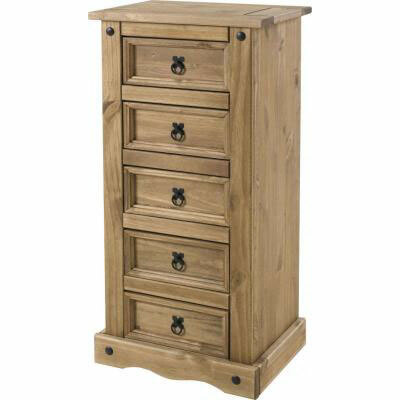 All products in this range come with black polished steel handles and comes as flat pack furniture for easy delivery.